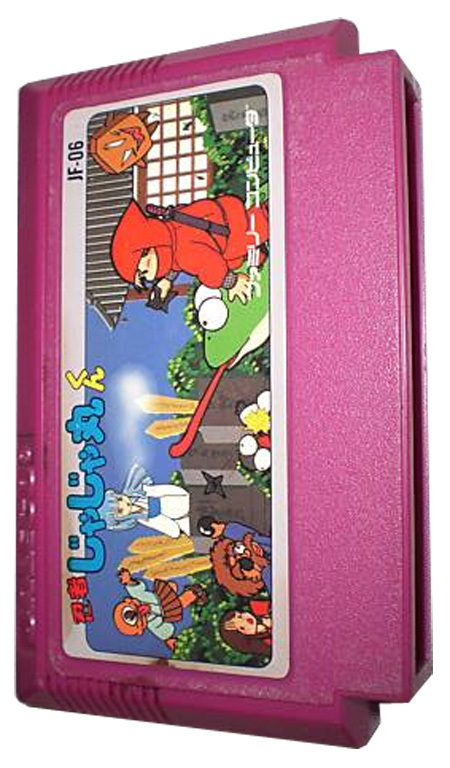 Take on the role of a ninja called JaJaMaru and rescue the captured Princess Sakura from the evil Namazu Dayuu in this action-packed game, previously unreleased outside of Japan. JaJaMaru must use his throwing stars to defeat the monsters lurking in each of Dayuu's many hideouts. JaJaMaru has to be careful though, as each monster has its own unique weapon and method of attacking. The only way for him to advance is to break the floor bricks above him and move up and down between the levels of each round, defeating monsters as he goes. To help him, broken bricks sometimes reveal items that JaJaMaru can use to his advantage, possibly leading to the ultimate power-up: a ride on Gamapakun, the giant frog. Throw in some bonus stages and you've got a game with a style all its own.